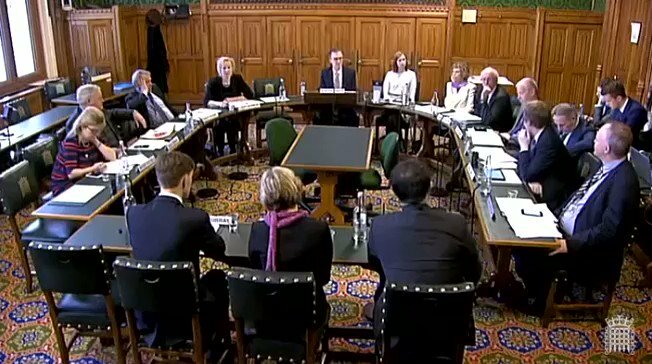 Thread by @mpc_1968: "1/ A few clips from last week's NI Affairs committee (Implications of the EU withdrawal agreement and the backstop for NI). 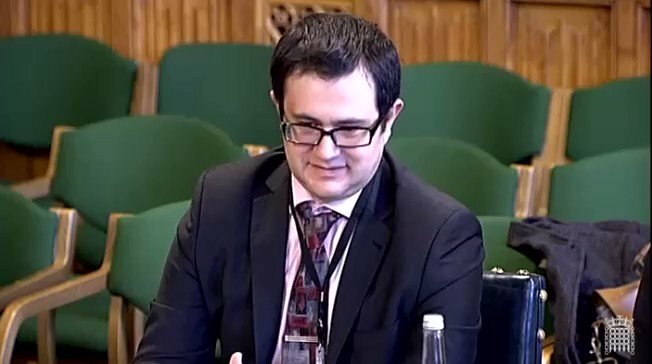 Here's @DavidHen […]"
1/ A few clips from last week's NI Affairs committee (Implications of the EU withdrawal agreement and the backstop for NI). 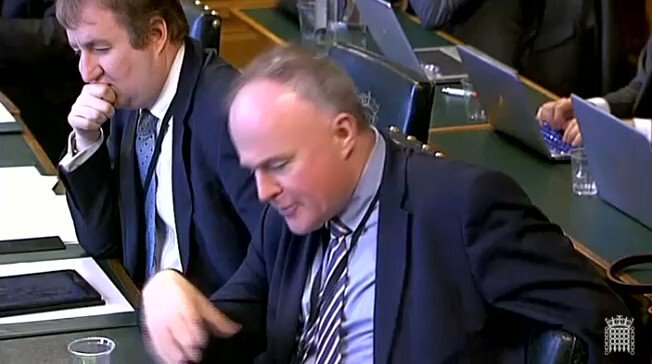 Here's @DavidHenigUK's response to the chair when asked about the feasibility of so-called 'alternative arrangements' in place of the backstop. 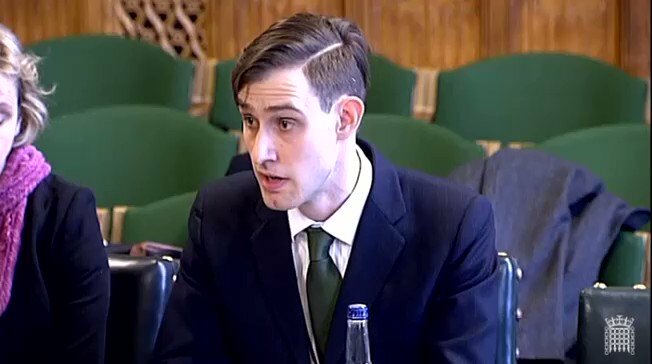 2/ @DavidHenigUK tells the SC exactly why he thinks it may take 10 years+ to develop alternative technological arrangements for the NI backstop. (He was repeatedly asked this by various committee members during the session). 4/ Next 2 clips need to be watched together. 'There is no way without deep reg alignment, where there will be the level of trust that has been talked about already, to maintain that quick & easy flow of a vital product *like blood* across a border. 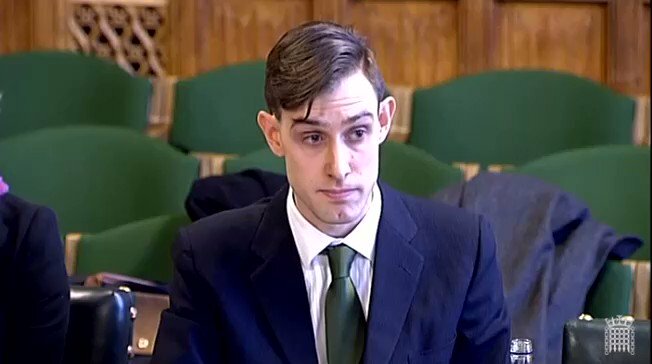 '@NCLLawSchool (Colin Murray). every external border. They put in place the border inspection posts. 8/ Great question here. 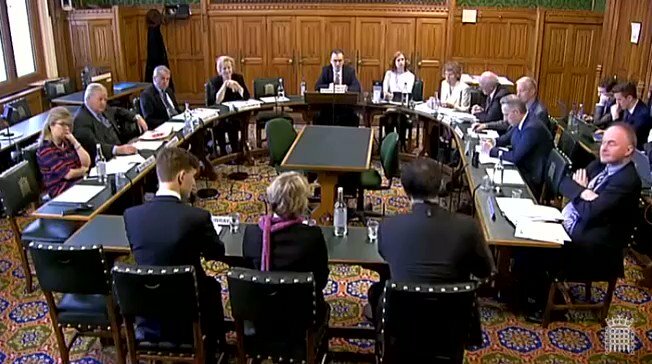 Does the NI backstop give NI an unfair competitive advantage over the rest of the UK in accessing the Single Market? @DavidHenigUK shares a few thoughts. 1/ @Vhoneymanleeds, @anandMenon1 & @jillongovt pick over yesterday's parli votes. 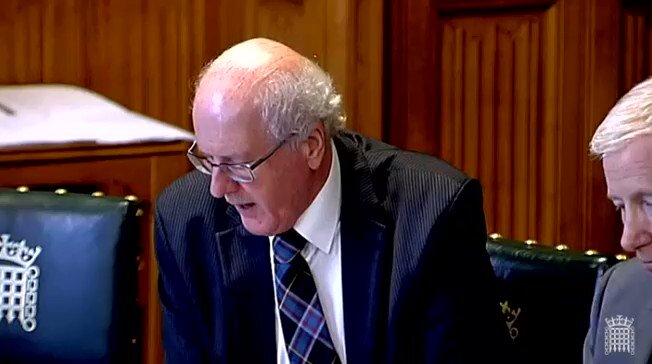 'I think what we are seeing is the beginning of a narrative by some in the HoC who will say the EU27 are being intransigent, b\c they are not allowing the UK to do what it wants.' @Vhoneymanleeds. 2/ @jillongovt explains in clear & simple terms the Irish Backstop. #EU leaders issue five paragraph statement in long-shot bid to change 100+ minds in #UK Parliament "The Union stands by this agreement and intends to proceed with its ratification. It is not open for renegotiation. possible after the UK’s withdrawal. The PM has said she wants to agree Common Security and Defence Policy during the transition period but if we have first passed this Withdrawal Agreement (and its “backstop” that gives the EU a permanent veto against our leaving) then defence is yet another negotiating hostage. Defence cooperation which should be an asset in this negotiation, perhaps one of our biggest, is thereby turned into a liability. Time to reset this negotiation I think, and stand up for ourselves. Regret to say it looks like current leadership may not be able to. & how it might get out of it. The Protocol is intended as ‘insurance’ in case a future UK-EU agreement is insufficient to meet the commitments made in the Joint Report bit.ly/2Bgjvj6. In that sense it is *already* conditional & envisaged as temporary. It is a backstop, not a precursor. 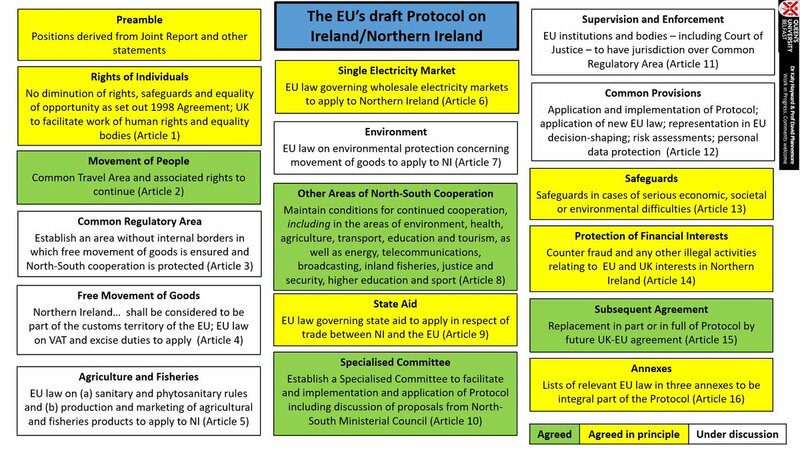 The Protocol is the EU showing most flexibility (cherrypicking) *for* Northern Ireland in the very areas that the UK is finding hard to swallow, i.e. NI being in a Common Regulatory Area and the Customs Territory of the EU. 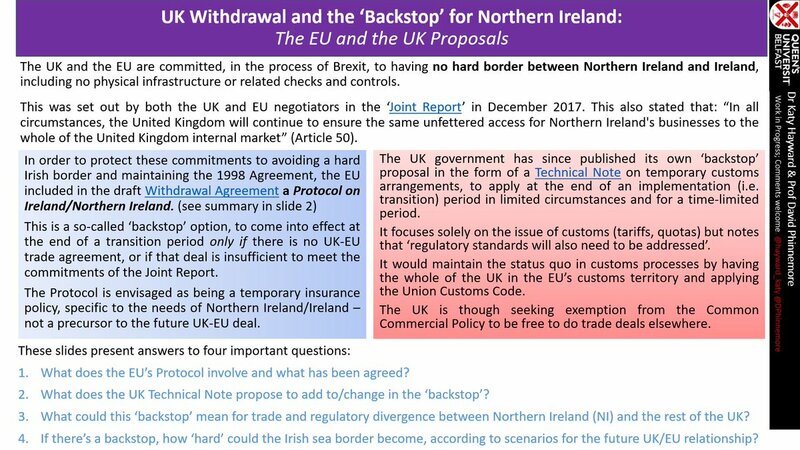 5 slides on the #Brexit #Backstop for Northern Ireland/Ireland from @DPhinnemore and me. 1. Why there will be a Backstop in the Withdrawal Agreement. Plus a synopsis of the EU and UK positions on the matter. 2. 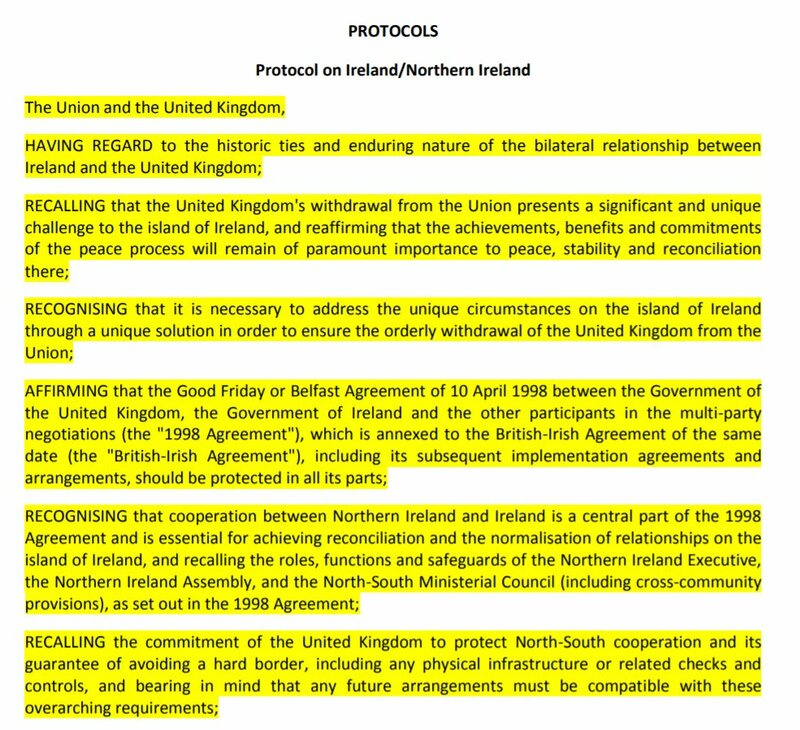 What is already agreed (green), agreed in principle (yellow), and not agreed (white) in the Protocol on Ireland/Northern Ireland in the draft EU Withdrawal Agreement. 3. 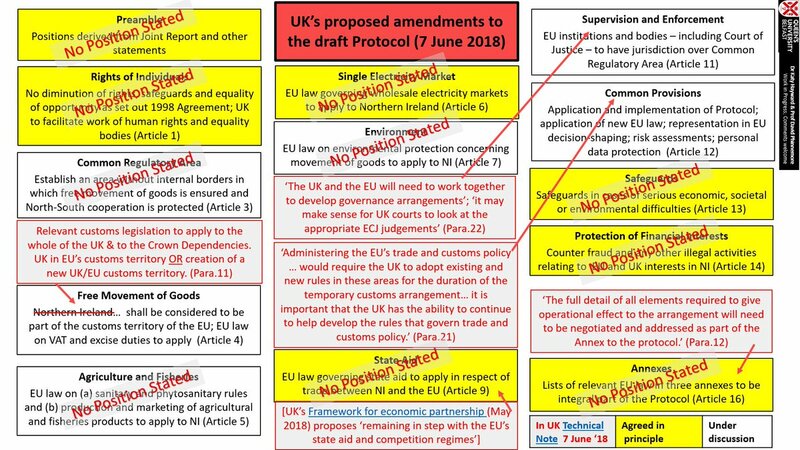 What has been offered in writing from the UK government on this Backstop (Protocol). Ref. the Technical Note on Temporary Customs Arrangements published today.